State Historical and Architectural Reserve "Khotyn Fortress" was created in accordance with the Resolution of the Cabinet of Ministers of Ukraine dated 12.10.2000 year №1539 «On the State Historical and Architectural Reserve" Khotyn fortress ". In accordance with the Decree of the Cabinet of Ministers of Ukraine of 20.10.2011, № 1032-r "On the transfer of property complexes of historical and cultural reserves under the management of the Ministry of Culture" Reserve transferred to the jurisdiction of the Ministry of Culture of Ukraine. 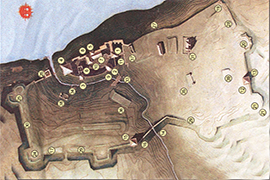 The reserve is a research and cultural and educational institutions, ensuring the identification, research, preservation, protection, use and promotion of the architectural monument of national importance - the fortress complex of buildings XIII-XVIII centuries., Khotyn town (security number 803, Cabinet of Ministers of the USSR number 970 of 24 August 1967). Khotyn fortress has long attracted the attention of researchers, travelers and lovers of antiquity. In spite of the light period, the castle is not just going through periods of decline and oblivion. In Soviet times explored the famous archaeologist BA Tymoshchuk, there were practices of university students. 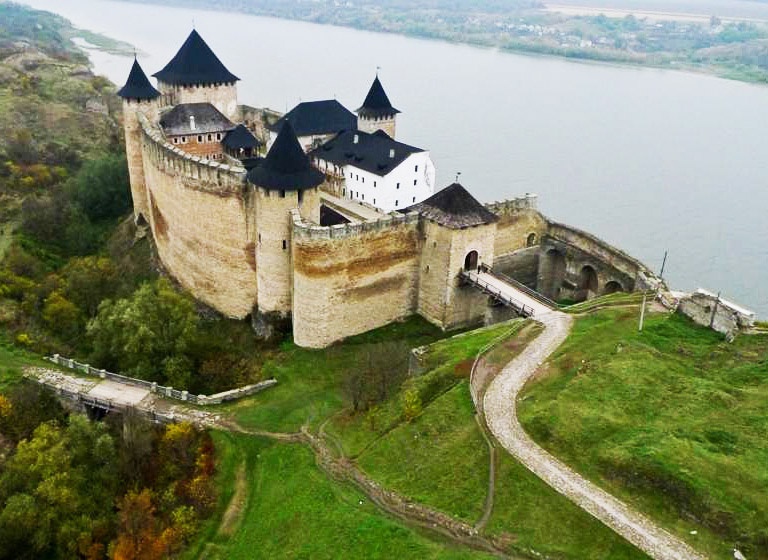 It was at this time Khotyn fortress becomes a place of filming of famous films: "Zahar Berkut", "The Little Mermaid", "Arrows Robinhood", "Ballad of the Valiant Knight Ivanhoe," "The Three Musketeers", "Yassa" and many others. Taking into account the long history and rich tradition of the town, October 12, 2000 decision of the Cabinet of Ministers of Ukraine was established the State Historical and Architectural Reserve "Khotyn fortress". According to Presidential Decree September 21, 2002 the town celebrated its 1000 Khotyn - anniversary. Interest in Khotyn fortress from the outside, the directors are not lost now. So, in 2007 in the reserve were shooting the film director Vladimir Bortko "Taras Bulba". 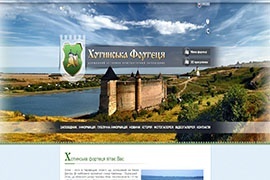 In the same in 2007, the State Historical and Architectural Reserve "Khotyn fortress" becomes the nominee-Ukrainian action "Seven Wonders of Ukraine". 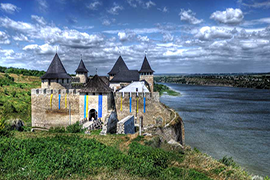 Suddenly, in 2011 Khotyn Fortress is the winner of All-Ukrainian campaign "Seven Wonders of Ukraine: Castles, fortresses and palaces." In 2010 - 2011 years in the Reserve held an international festival of medieval knightly battles "Battle of the Nations." In 2012 - 2013 years the organizers of the "Battle of Nations" was held in the fortress of the new festival "Medieval Khotyn." Khotyn - a town in Chernivtsi region, situated on the bank of the Dniester. The nearest railway station Kamenetz - Podolsky - 20 km., To the regional center of Chernivtsi - 65km. The city's population - 10 thousand. Man. Today Khotyn is one of the most important cultural and tourist centers of Bukovina. The town has a long and rich history, it was originally a desirable place to live. As the scientists, the very name of the town - Khotyn - means "welcome", "welcome". The night of the Middle Ages Khotyn was famous throughout Europe for its markets and fairs. The town has always played a strategic role in the international transit trade. Being on the border of the various states, Khotyn often passed from hand to hand. With the town linked the fate of many famous figures including: Moldovan hosts Ukrainian hetman and Cossack chieftain, Polish kings, Russian and Turkish military leaders, religious and cultural leaders, poets, scholars, travelers. 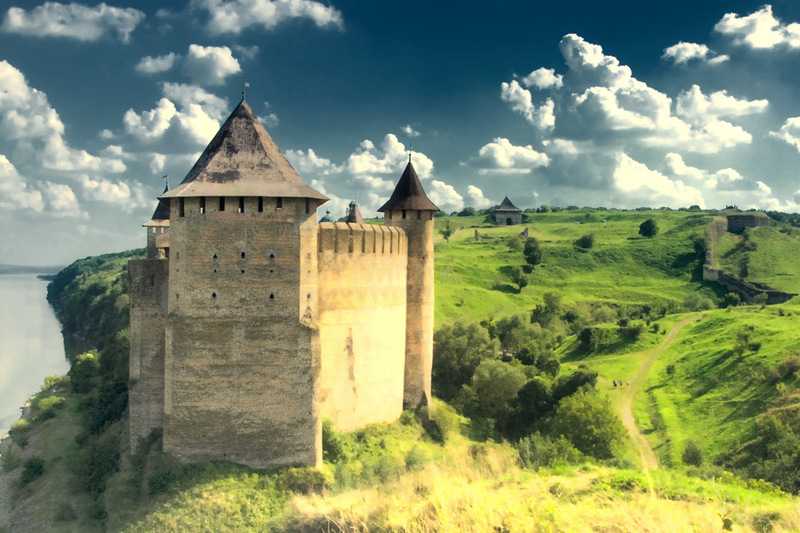 For centuries, Khotyn has been the scene of numerous military conflicts and the prominent battles of world empires. In the XVII century. Khotyn war were held here in 1621 and 1673. In Khotyn battle of the XVIII century. region become a battleground four Russian - Turkish wars. The pearl of the town is a world Khotyn Fortress - a monument to history, culture and architecture of XIII-XIX centuries. Fortress is a general, a priceless heritage for many people. Its walls have been the witness of many wars, they have seen victories and defeats, the rise and fall of empires.